Future Chefs strives to provide a menu for success in life. Inside a test kitchen on Albany Street, teenagers are rolling out dough for fluted tarts. Once the minicrusts are baked, they’ll be filled with pastry cream and fruit. It’s dessert for a women’s shelter — and the finale of a summer program run by Future Chefs, a nonprofit dedicated to connecting urban kids with an interest in culinary arts to jobs. After cooking up 130 meals a day for middle-school campers and catering a luncheon for the mayor, these young people have clearly learned more than recipes. Future Chefs strives to provide a menu for success in life: teamwork, reliability, and ability to work under pressure. The local restaurant business is booming, according to a recent Globe report, yet there’s a shortage of chefs, line cooks, and prep workers. Future Chefs is also getting attention (it was recently profiled on WGBH’s “Greater Boston”) as questions abound about the best way to prepare young people for a changing economy. Expensive, four-year college degree programs are churning out graduates with huge debt and no clear career path. Culinary schools — no less expensive — can be exploitative, especially for kids who have a food-related dream but come unprepared for the challenge. Elka is not worried about building a pipeline that leads only to low-paying fast-food jobs. The key is to start working somewhere, she said. Besides, she believes in the power of the culinary industry, especially at the high end. “Those kitchens are meritocracies where no one cares where you came from, or what school you went to. If you are passionate and care about things, that’s what matters,” she said. Future Chefs works with high schools in Boston, Quincy, Everett, and Somerville, each year helping about 90 young people with job placement and mentoring. A pilot apprenticeship program is operating at six restaurants: Salty Pig, Trade, Island Creek Oyster Bar, TW Foods, Taberna de Haro, and State Park. 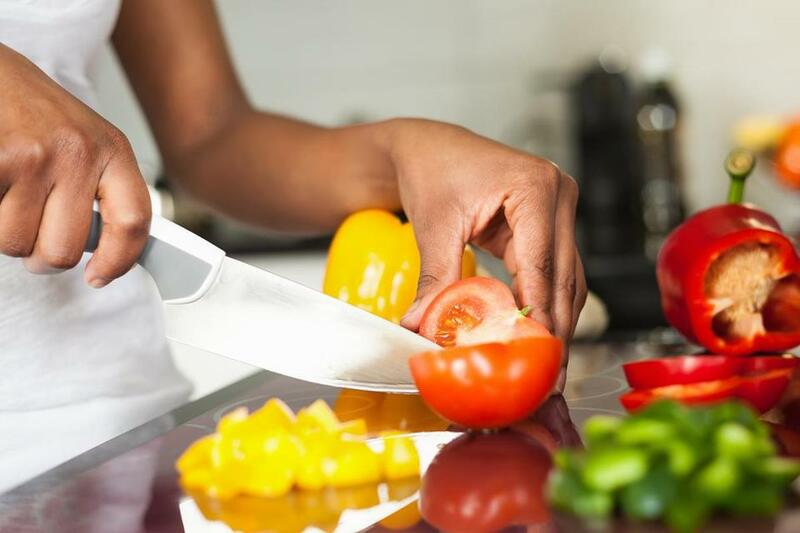 Future Chefs also runs activity sessions in a program called “Food is My First Language,” which brings together police and teenagers to cook and talk, plus teaches young mothers how to prepare healthy meals. Connections to top chefs are key, and more are welcome. Gordon Hamersly oversees the fledgling apprenticeship program, and other Boston area chefs involved include Rialto’s Jody Adams, Flour Bakery’s Joanne Chang, Tavolo’s Chris Douglass, Taberna de Haro’s Deborah Hansen, Island Creek’s Jeremy Sewall, and TW Foods’ Tim Weichmann. Kevin O’Donnell, another chef participant, noted that in Europe, restaurant apprenticeships are common. Which, especially in France, can mean “a screaming chef throwing pots and pans at an apprentice working 80 hours a week,” O’Donnell, the Salty Pig’s executive chef, added. “I don’t believe in” that. But a program that gives kids real kitchen experience, from food prep to tableside delivery? Invaluable. That’s the goal in the test kitchen, where Takila Adger, 23, is overseeing pastry tart production. Now working for Future Chefs, she’s a graduate of Madison Park High School and Southern New Hampshire University, where she studied culinary arts and hospitality. Francisca Barros DePina, 15, and Joahnaliz Baez, 17 — two aspiring pastry chefs — agree. But cooking is also fun, added Baez. The pair are working with Brandon Newell, 19, who graduated from Jeremiah E. Burke High School and is enrolled at Bunker Hill Community College, studying culinary arts and business. “I just love being around food and trying out new recipes,” he said. His dream is to run his own business, but his immediate goal is to get an apprenticeship spot at a top Boston restaurant. As the students work on the dough, Adger explains the secret to successful pastry. “Don’t roll it out too much. If you play with it too much, it’s rejecting us,” she said. Through the magic of food, Future Chefs aims for acceptance, not rejection, for all its eager participants. When mission meets economic need — that’s the sweet spot.